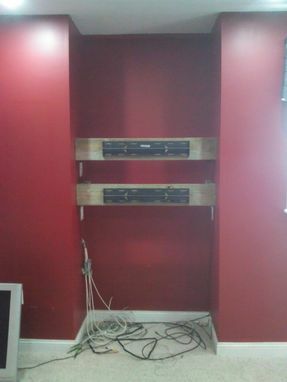 When you are doing a major remodel, or just have a desire to streamline the look of your room, a built in entertainment center is often the focal point. 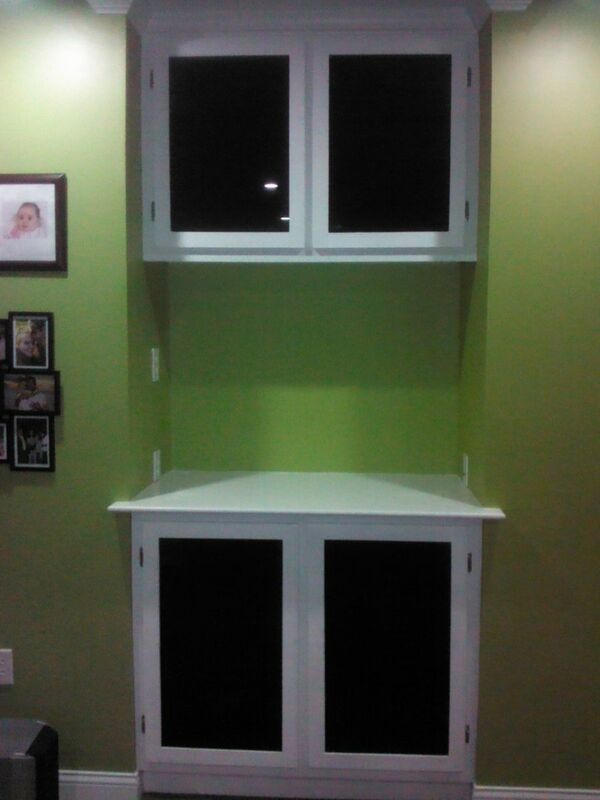 This was built for a customer who was remodeling their entertainment area. The glass was chosen for its ability to allow remotes to work through it. 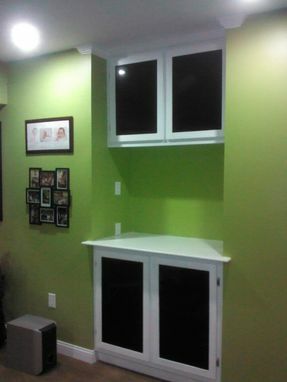 Wood used was poplar, painted white to match the trim in the room. The crown was added to act as a unifying detail between the entertainment center and the Bar on the opposite side of the room.